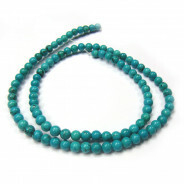 Malachite Natural Gemstone Round 4mm Beads (~100pce Strand) - ~40cm/16'" Strand. 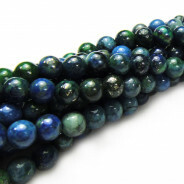 Malachite often results from weathering of copper ores and is often found together with azurite. 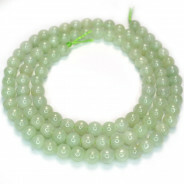 The name is derived from the Greek "Molochitis" meaning "mallow green stone". 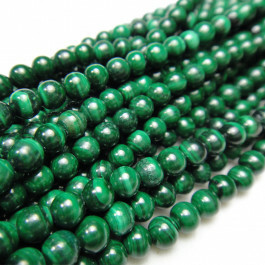 Malachite was used as a mineral pigment in green paints from antiquity until about 1800. 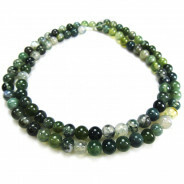 Mining Malachite began as early as 4000 BC by the Ancient Egyptians.